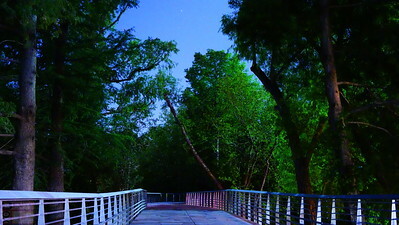 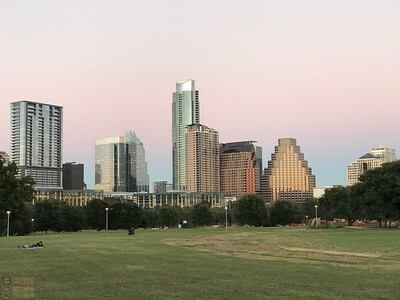 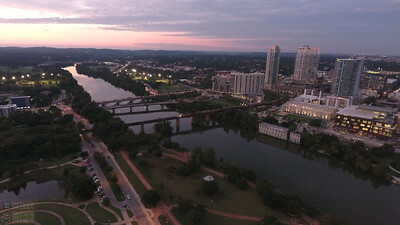 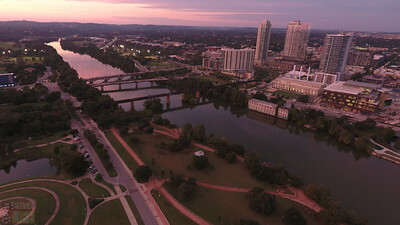 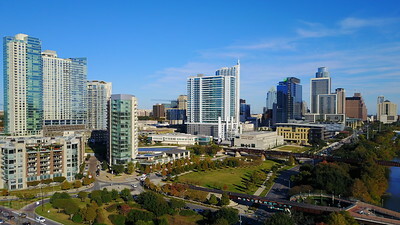 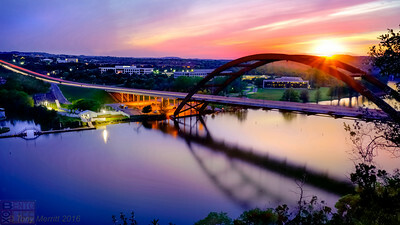 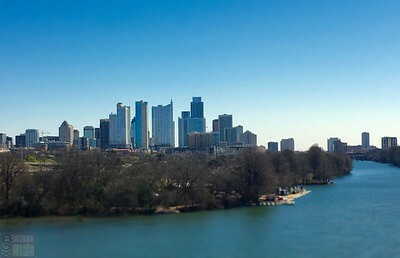 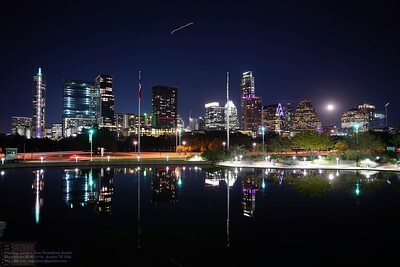 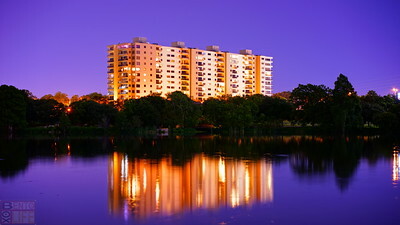 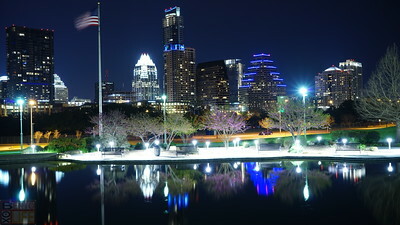 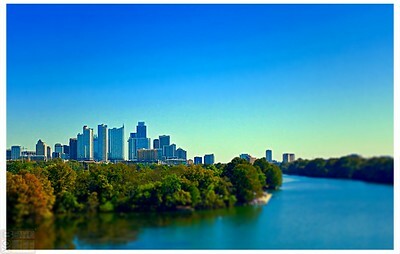 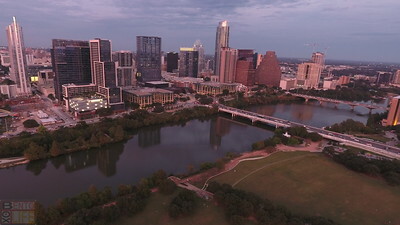 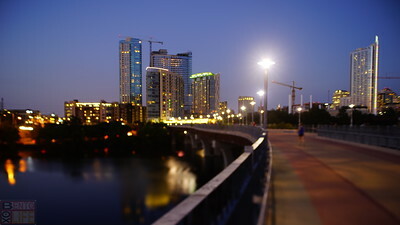 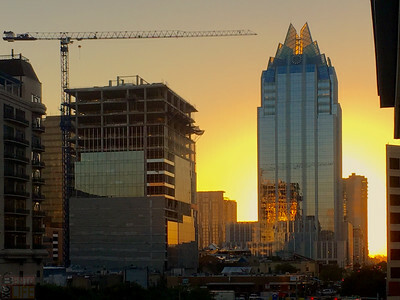 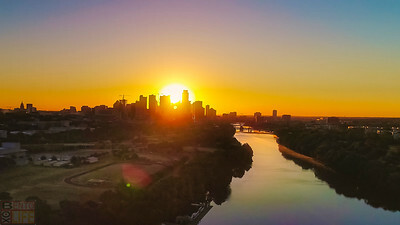 The sunrise piercing through the downtown buildings of Austin, Texas as viewed from Ladybird lake over Butler jogging trail. 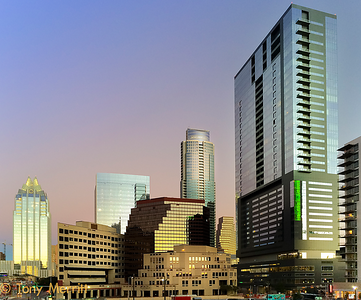 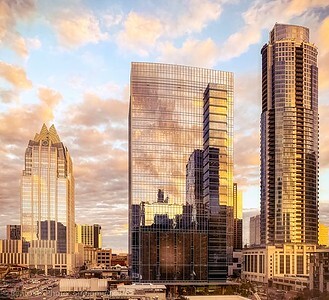 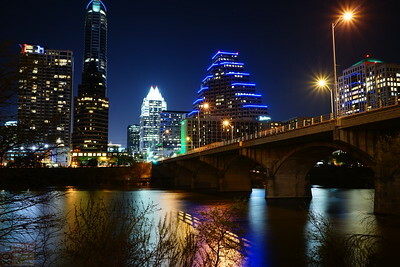 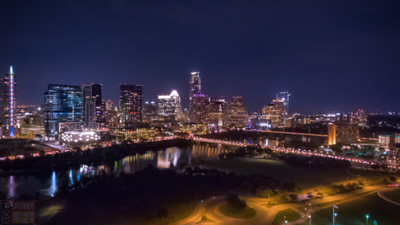 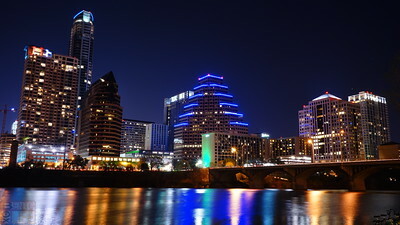 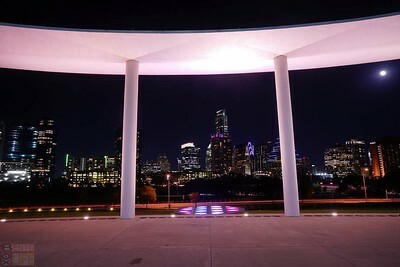 A virtual Frost Bank Tower reveals itself to the active nightlife on Congress Avenue during a warm summer night as if she wants to party with everyone. 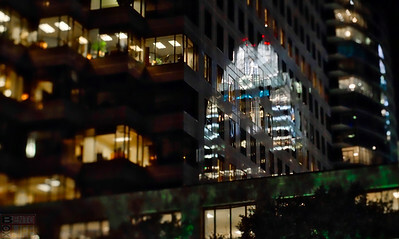 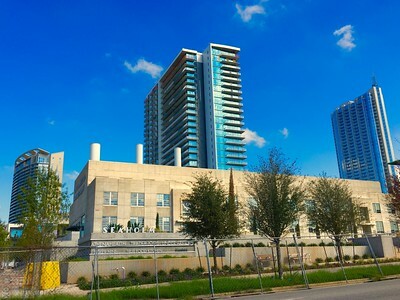 Her reflection is on the 100 Congress Building on East Cesar Chavez Street on South Congress Avenue in downtown Austin, Texas. 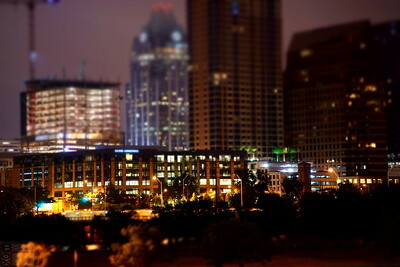 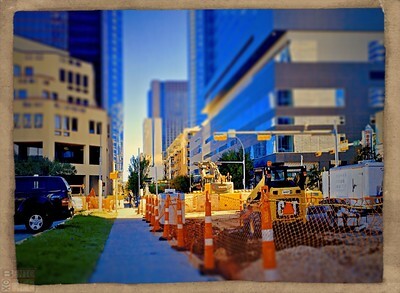 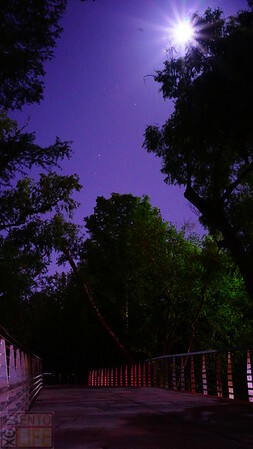 Taken with my Sony A7rII using a Hartblei 2.8/80mm Super-Rotator tiltshift lens.